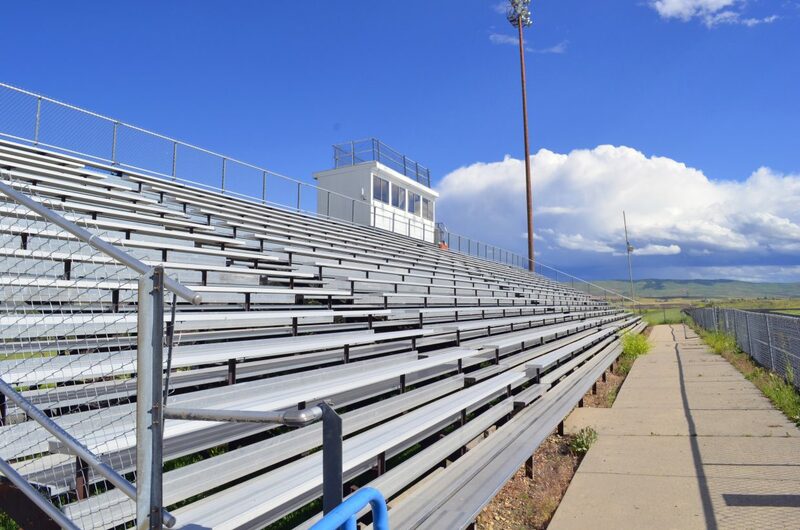 The bleachers at Moffat County High School's Bulldog Proving Grounds remain empty during the summer months. The school is still in the process of finding a new athletics and activities director to replace Rick Schmitz, who resigned in June. Craig — On Aug. 8, the Evanston (Wyoming) Police Department concluded its investigation into the alleged Moffat County football hazing incident that took place in Evanston June 18 to 20. Uinta County Prosecuting Attorney E. Dean Stout will now review the evidence and make recommendations on how to deal with any criminal activity that might have taken place at the football camp. The Evanston police visited Craig on two separate occasions in July, interviewing all those involved in the alleged hazing, including freshmen, upperclassmen, parents and school administrators. “I got a big file from the police department on Friday (Aug. 8),” Stout told the Daily Press. He intends to go through all the police interviews by the end of this week. “I’m hoping that what can come out of this is an outsider’s perspective on the issues and the way the community of Craig can come together and solve the problem,” Stout said. Two investigations took place concerning the hazing — one by Moffat County School District and one by the Evanston Police Department. The school district wrapped up its investigation the first week of July, and the police investigation took several weeks longer. Parents of freshmen who were allegedly hazed by upperclassmen on the football team said their kids were physically abused beyond what they would classify as typical hazing. “When the cases are completed, that becomes subject to the (public) information acts,” Stout said. Governmental agencies are required by law to release information that has been legally deemed public by the courts. Each state has its own laws regarding public information, including Wyoming. The Craig Daily Press inform the public when Stout makes such records public. The school district’s investigation is largely private, due to the Federal Privacy Educational Act, which keeps information about students confidential. Therefore the public is not aware of what punishment happened to the upperclassmen who allegedly hazed freshmen. However, the district did ask five coaches to resign following its investigation.